If you have played Call Of Duty multiplayer, then there is a chance that you’ve tried out the quickscope in the game. Quickscoping is a very popular playstyle in every multiplayer game to snipe the players without fully aiming them. It looks like a simple task, but veteran players sometimes find it difficult. 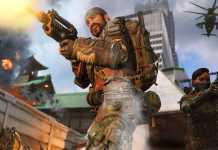 Call Of Duty Black Ops 4 is the latest edition in the series and it is completely multiplayer based game. So, the quick score has very high importance in the game, but some players find it difficult. 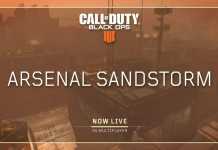 So, let’s see some tips and tricks to How To Quickscope In Call of Duty Black Ops 4. Quickscoping is so different than the normal sniping in the game, so it becomes necessary to choose the right sniper for you in the game. In Call Of Duty Black Ops 4, each sniper has different stats, so you will have to figure out the best sniper for your playing style. You can try out Paladin HB50 and Koshka snipers. You can aim down the sights very quickly if you equip the Quickdraw on the Koshka in Black Ops 4. 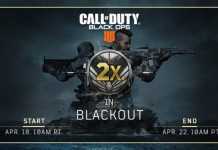 First, try all snipers in Black Ops 4, and after getting the hang of a particular sniper along with your playing style, you can learn the quickscoping easily. Any Call Of Duty player can get a snipe kill by aiming down the sight by just holding the breath. But quickscoping is not that easy to perform. During the quickscope, you don’t fully aim down the scope in any game. Instead, you quickly tap the aim button and shoots just before the full zooming the target. To quickscope in Call Of Duty Black Ops 4 and other multiplayer games, first, learn to centre your sniper. It will help you to get to know where are you shooting without using the full zoom. The best way to learn it by spending more time with a sniper of your choice. To get better at quickscoping in a game, try to visualize your scope when you can’t see down in. Pretend that you can see your crosshairs is you were fully zoomed-in and shoot where your sights would be lined up. The essential part in learning quickscope is to shoot instantly. To do this, keep your one finger on the left trigger even you are not doing the shooting. Don’t press the left trigger too long while shooting as you will fully aim down sights. The duration of holding left trigger for quickscope is entirely depends upon your practice and skills. Keep one thing in mind that practice is the only key to get perfection in learning anything. So don’t let your confidence down after failing a few times. Keep trying and practising; you will be master of quickscoping in short time.